The issue of poor air quality in our cities and built up areas is an ongoing talking point. For example, the Guardian reported earlier this year that London had hit the legal limit of air pollution for the whole of the year in less than a month. According to the same report, around 40,000 deaths are caused every year by the staggering levels of air pollution in urban areas in the UK. Poor air quality has become a daily concern for residents in affected areas. But what can you do to protect yourself and help out your area? With Compost Direct, suppliers of great quality play bark, we will help you to make your outdoor space greener! You don’t have to make all of your plants green to get a cleaner garden! A recent study by NASA has provided a few colourful blooms for gardeners keen to clean the air. Add a splash of colour with these daisies in bright, striking shades of pink, white, orange and red. 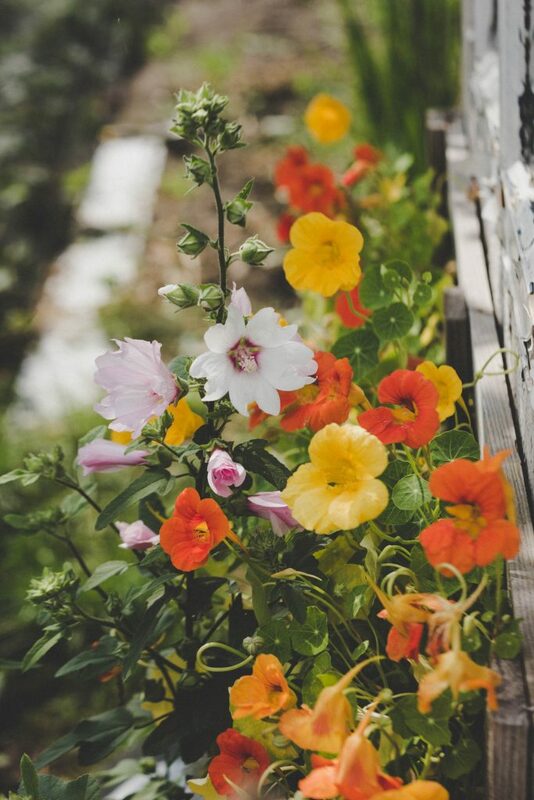 These flowers love direct sunlight and a bit of space, so make sure not to leave them in a shady corner of your garden. Research by NASA has found that these plants are brilliant at combatting a variety of air toxics, including benzene. Make your house stand out from the rest of the street with a bold climbing plant, such as the Hedera helix. Though it has a bad reputation in the States as being a weed, it can be a lovely addition to your garden if tended to. The plant helps to clean the surrounding air by capturing particulates, benefitting the atmosphere as well as other forms of wildlife, as found by a study from Goldsmiths, University of London. The Wallflower- with its scientific name of Erysimum is another stunning colourful addition to your garden. Goldsmiths also names this plant as being akin to the common ivy for its particulate-cleansing power. These flowers have a bright display of petals during the first half of the year. You can grow wallflowers in many colours, with purple and yellow popular choices. Conifers are the hedge for the job when it comes to combatting air pollution recommended by Homes & Property. Specifically, the western red cedar hedge is named as an ideal conifer to plant in your garden. But if your garden is a little smaller, the publication also names the yew as a great alternative, citing its evergreen nature and easy trimming. Eco-friendly gardening goes beyond the plants in your garden. You have to consider how you are tending to your garden as well. Repurpose your waste. Many products can be recycled into compost, for a greener growing process. Corn gluten meal- Avoid. The components of corn gluten meal are genetically modified, and SmilingGardener notes that it’s best to stay away from using it, if possible. Quiet equipment. Target pollution made by noise as well as in the air, with quieter types of equipment. Pesticide-free zones. Although many gardeners are already aware of this, pesticides contain harmful chemicals which can damage your garden. Inside and outside. Houseplants are great for improving air quality indoors, they are widely available and there’s a vast array to choose from!